Once you have conceptualized the product you want built, it’s time to find the right product innovation design agency to build it to perfection. 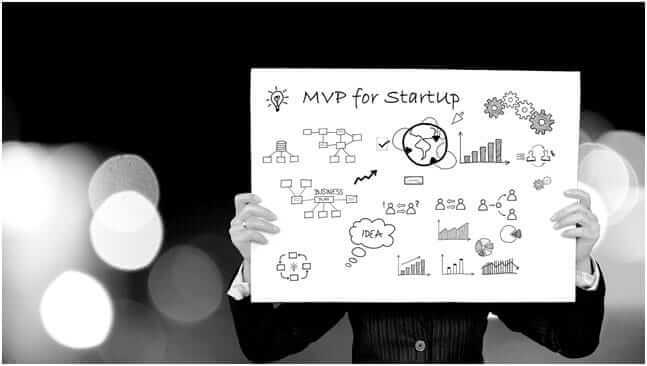 Also, popularly know as product development firms, and technology solution providers, these agencies offer you end-to-end services when it comes to creating the basic Minimum Viable Product (MVP) of your product to executing the final product. Throughout the various stages of building the product, you will need to reiterate the steps, multiple times, you might also need to brainstorm fresh ideas and approaches for features that you had thought of, but are not viable in real world. It is important to choose a product innovation design agency which not only understands and respects your time and your product, but is also open to reiterations as and when they come. A good product innovation design agency should also help ideate along with you and help build on the product that you have conceptualized. Given the fact that they dabble in multiple projects and clients and have an understanding of what works well in the market and what doesn’t, they should pitch ideas that should benefit you and your product largely. So, how do you find the perfect product innovation design agency for your product? Here are some ideas as to how. There is no room for ambiguity when you write down each and every specific detail that pertains to your product development process. Make it very clear as to who you are targeting, who is the product for, and how you want the product to be built. If you are not comfortable jotting the details properly, you can always ask for assistance of a product person who can lay down the blueprint in a much more detailed fashion. Ask them to create a roadmap for you which clearly lays down when you would want the MVP ready, when you would want the wireframe, and when and at what frequency should the product be tested. This will help your product innovation design agency get a clear idea of what exactly is expected of them. Don’t look for something that costs less and promises quick results. Your product is your brainchild. Make sure you invest well in its development, launch, and even maintenance. When hiring an agency, go for designers and technology solution providers who are masters of their craft. Talk to them, go through their resumes and portfolios, make sure they have an idea of the kind of product you want built. Product innovation design agencies who are successful, dedicated, and skilled at what they do, would be happy to share their portfolios and case studies to help you make an informed decision. Ensure they have their team of designers and developers in the same place. Often having designers and developers located across the world makes it difficult to collaborate and keep work flowing, seamlessly. It requires more resource and effort to get workloads checked off. Ask the product innovation design agency if they can support agile communication and also set up weekly meetings to touch base on developments and hurdles. Does it crash frequently or show certain anomalies when it is not performing under ideal circumstances? This step applies to you as much as to your technology solution provider. Agencies often juggle multiple clients at given point of time. So when they are working on your product and they come across any problem or issue, make sure you respond immediately so that they continue working and completing your product instead of shifting their focus to another project on their plate to fill the lag in response. If your product needs thorough execution, a powerful MVP, and wireframes that mirror what your product is going to be like, you might have just come across the agency that can make this happen. Consult us today for a 30-minute consultation and find out how we can make your product idea, a reality.